Create curved lines that you can't do with regular shears. Great for inner thinning and point cutting. Washi's new Curved Blade makes it easy to get to those hard to get places. Create curved lines that you can't do with regular shears. 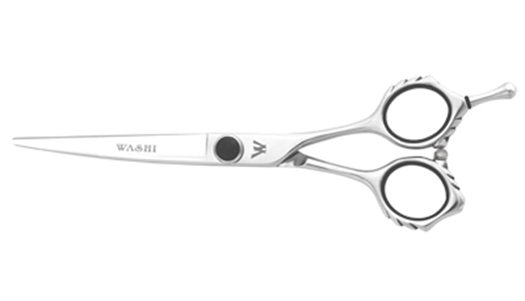 Great for inner thinning and point cutting. Made from Japanese 440C steel for durability.